What about flushing a cannabis plant because it’s sick? 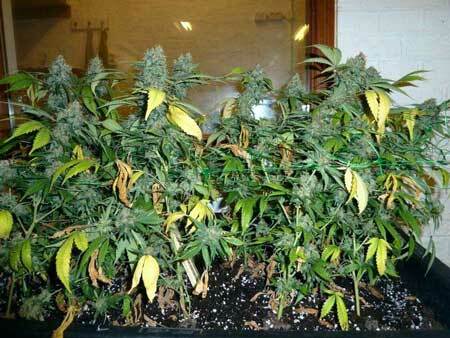 How long should each type of grower flush their plants before harvest? More info about each one in the full tutorial below! You’re going to do everything you normally do when it comes to watering, except without any additional nutrients or supplements. Don’t give more water at a time than normal, because this increases the chances of your plants getting overwatered and showing deficiencies/symptomscaused by that problem. 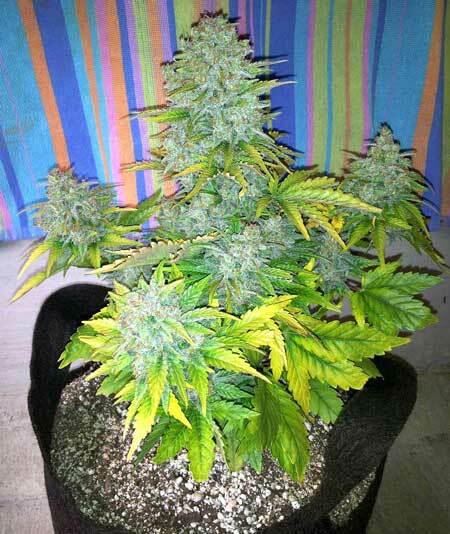 During the flush before harvest, your plant can lose its green color very quickly. Although it’s normal to see some amount of yellowing before harvest, it’s important to harvest before the sugar leaves on the buds themselves have turned yellow. 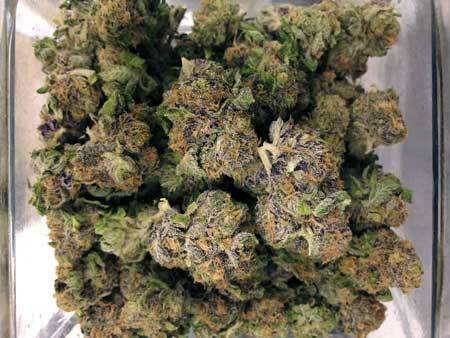 Although this doesn’t affect the quality of the buds, it does affect the appearance and buds aren’t as pretty. 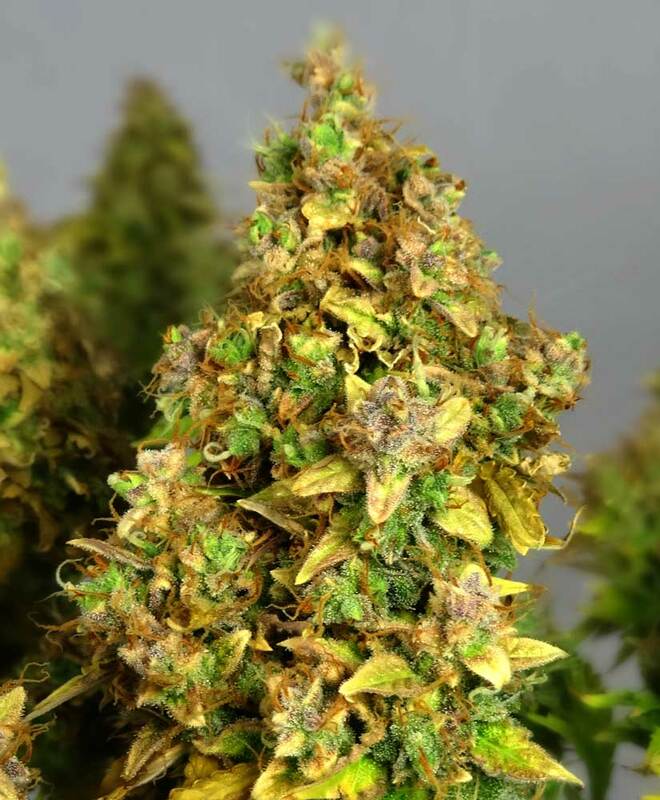 Additionally, once all the leaves have turned yellow your plant won’t really mature a whole lot more, and buds can start to deteriorate quickly. After the flushing period, your plants should appear a lot lighter than they did at the beginning. It’s time to harvest! Learn more about when and how to harvest plants. That’s pretty much it! Read on to get the complete tutorial with more detailed step-by-step instructions! 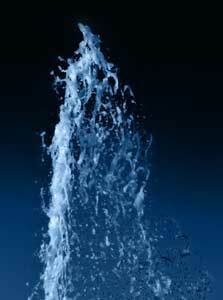 The idea behind flushing is to let your cannabis plants “use up” any extra nutrients contained in the plant and buds. This way there is a much lower level of nutrients left over after harvest, and it’s those extra nutrients that can change the smell, taste or (most often) “smoothness” of your buds in a negative way. So in soil or coco coir, the grower would give the plant just plain water for days or weeks before harvest time. This lets the plant use up the nutrients in the soil/coco, and then – theoretically – start leaching extra nutrients from the buds. In a hydro or DWC setup, flushing is even easier. The grower simply replaces all the water in their reservoir with plain pH’ed water, and the plant doesn’t have access to any nutrients available except for what’s already in the plant. I used to think that flushing wasn’t that important. I’d still do it most of the time based on habits I’d learned from other growers, but other times I’d skip it altogether. One of the most common reasons growers tell you to flush is that not doing so affects flavor. I’d tried flushing and not flushing, and I personally couldn’t tell any difference when it came to smell or flavor. In fact, I got lots of compliments on the taste and flavor of my buds. My unflushed buds didn’t have a “chemical” taste like others had warned of, and I figured the need to flush was basically a growing myth, or something growers should only do if they’ve given their plant too many nutrients. When it came to flushing, I told myself, “How could the plant be removing nutrients out of buds, anyway?” I also figured that a flush wasn’t needed for my grows since I kept nutrient levels low throughout the entire flowering stage. I thought maintaining lower levels would prevent any type of nutrient buildup (so to speak) in the buds. I still don’t truly know about the science behind flushing or why it works, but after my last grow, my experience has changed my opinion on flushing. For my last grow, I decided to try something a little different…I harvested different plants at different points in the flushing process. While this was definitely not a honest-to-goodness scientific experiment since I was growing different strains without controls, the results of my experiment were more than enough to change my mind. I grew three plants. I had one plant I didn’t flush at all, one that was flushed for a couple of days, and one that got flushed for a little more than a week. So how much of a difference did flushing make? The plants which were flushed for a few days or a week before harvest were more “smooth” than the buds from the plant which wasn’t flushed at all. The buds from the non-flushed plant smelled like completely normal potent marijuana, but they caused me to cough more often during smoking. The buds from plants that got flushed for at least a few days were just plain better. Luckily, you can partially fix harsh buds by curing them for longer – giving buds a little extra time in curing jars will reduce the harshness dramatically, but why not try starting with smooth buds from the beginning? The plants which were flushed for at least a few days yielded buds that came out buttery smooth, without irritating the throat at all. In conclusion, in our insanely informal, scientist-enraging experiment, longer flushing seemed to create smootherbuds. 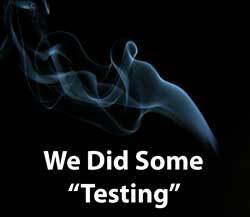 As far as we could tell, the taste and smell seemed completely unchanged, so I stand by the fact that, at least in our experiments, flushing didn’t seem to have an effect on enhancing flavor/smell so much as it safeguards it. So does that prove anything? No. But the evidence is strong enough to change my opinion and I’ll be flushing for at least a few days before all my future harvests. There doesn’t seem to be any true downside to flushing (as long as you avoid common mistakes like flushing too early) and the potential benefits are worth it! 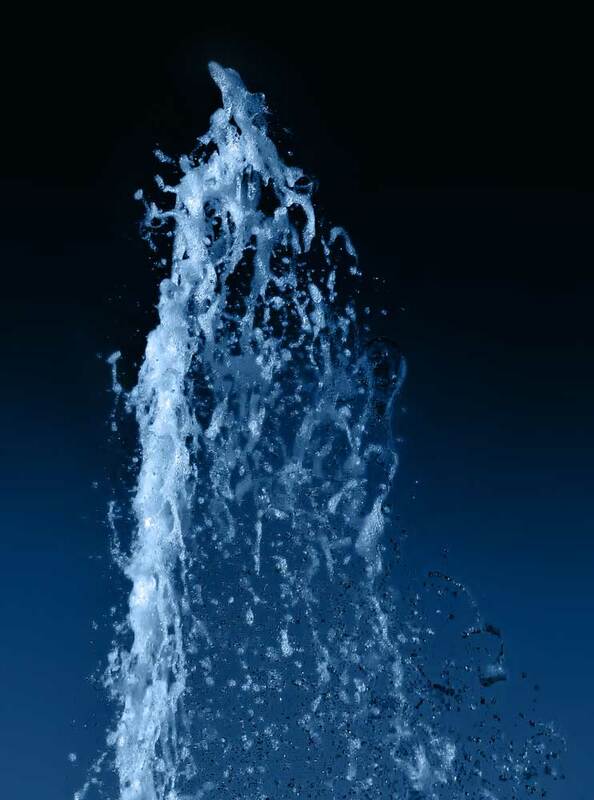 Flushing is Simple & Free! 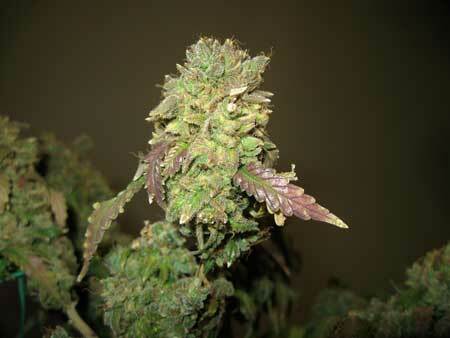 At the beginning of the harvest window, your buds shouldalready look just about the way you want them to at harvest. When are my plants ready to harvest? This harvest window lasts for several weeks because marijuana buds don’t get “overripe” easily, and you have plenty of time to harvest your buds even two weeks after they’ve reached the beginning of the harvest window. At this point it would be like harvesting fruit a little early; they won’t be at full potential, but they’ll still be pretty good, so it’s a great time to start the flush now so you harvest at the optimum time. On the flip side, if you start flushing when your buds “seem” two weeks away, instead of already being in the harvest window, chances are you will be starting the flush too early and end up with “underripe” buds (and smaller yields). Why avoid flushing buds early? You can read the full explanation here, but basically buds harvested on the early side tend to be more “racing” or possibly have a paranoia-inducing effect, while waiting longer to harvest increases THC levels and intensifies the psychoactive properties of your buds. Waiting even longer makes buds that are still potent and psychoactive, but the extra time in the flowering stage also starts to add a more relaxed,”couchlock” effect as some of the THC degrades to CBN. At the earliest part of the harvest window, at least 40-50% of the white hairs have darkened and curled in. If you look at buds under a magnifier, you’ll see that the mushroom-like trichomes (which were once clear) are at least half cloudy. 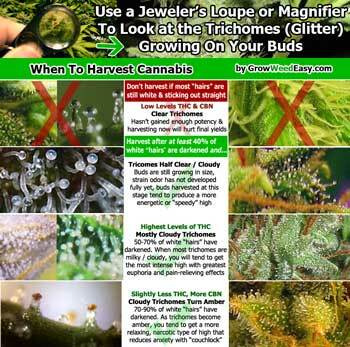 A little extra info on harvest time: Cloudy trichomes indicate the highest levels of THC. When half of the trichomes are cloudy it signals the very beginning of the harvest window (the earliest it’s ever recommended to harvest buds). For the most part, a cannabis plant won’t reach the very beginning of its harvest window until 6-8 weeks into the flowering stage, and that’s still several weeks earlier than many strains. Although buds can be harvested at this point, they will continue to develop and increase THC levels over the next few weeks as more trichomes turn cloudy. Your yields will also increase significantly! If you’re looking for a more relaxed effect, I recommend starting the flush when just about all the trichomes have already turned cloudy. Harvesting on time gives more potent results and bigger yields than harvesting early, so it’s imperative to avoid flushing too early! 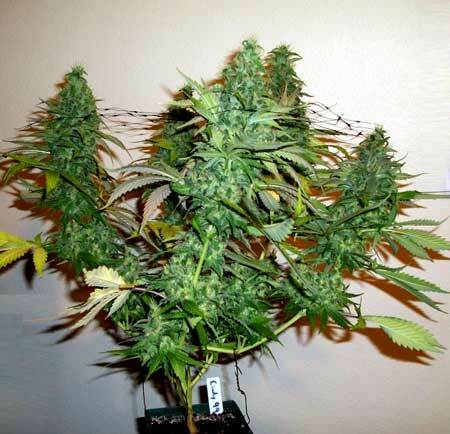 The harvest window lasts for a few weeks and with this method your buds will still be ready to harvest at the end of the flush, without the chance of having started too early. You’re going to do everything you normally do when it comes to watering, except without any additional nutrients or supplements. Don’t give more water at a time than normal, because this increases the chances of your plants getting overwatered and showing deficiencies/symptoms caused by that problem. Soil Growers Flush 1-2+ Weeks – Soil growers should flush the longest, from 1-2 weeks. This is because there is still some amount of nutrients left in the soil. For super soil growers who haven’t used any nutrients from seed to harvest, you don’t have to worry about flushing because you’ve been giving plain water from the beginning. Your microorganisms in the soil have fed nutrients directly to your plants as needed, and it’s very unlikely you have any type of nutrient build-up. Coco Growers Flush ~1 Week – Coco coir does not hold onto a lot of extra nutrients and just a watering or two with plain water will wash most nutrients away. Therefore growers utilizing coco coir should only flush their plants from a few days to about a week, depending on how fast the plant is turning yellow. DWC/Hydro Growers Flush for a Few Days – When a hydro/DWC grower changes their reservoir to plain water, their plants literally have access to almost zero nutrients immediately. Because of that, a hydro grower should usually only flush their plant for a few days before harvest to prevent early yellowing. 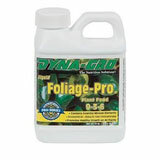 Beneficial root bacteria – Hydroponic growers should continue using products with beneficial root bacteria like Hydroguard right up until harvest. 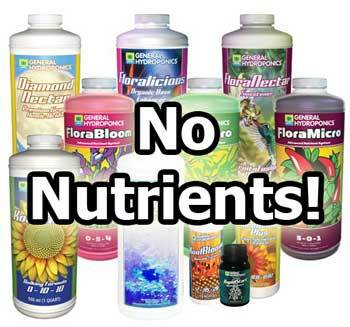 These products do not contain any nutrients but will protect your plants from root rot. 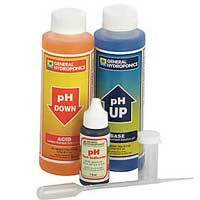 Continue to manage the pH of your water as normal – PH Up and Down products don’t contain added nutrients. If the pH is too high or too low, it makes certain types of salts and aluminum more available to your plant roots. You don’t want your plant absorbing that stuff up right when you’re trying to flush the buds! Blackstrap molasses – This all-natural bud sweetener is safe to use up until harvest in coco or soil grows (1/2 tsp per gallon of water), but not in hydro. “Clearing” or “Salt Leaching” Solutions (below) – These supplements have been specifically designed to help remove extra nutrients during the flush. Even during the flush, it’s still important to manage your pH. 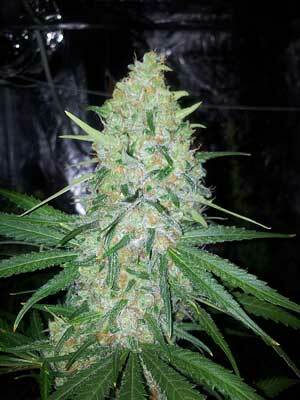 Many growers agree that a few days to 2 weeks is a good amount of time to flush. Plants in soilless mediums like coco or hydro can’t be flushed as long as plants in soil because they will run out of nutrients too quickly. For hydro you may only be able to flush for a few days. Flushing too long or starting too early increases the chances of reducing yields and running into unpleasant looking nutrient deficiencies. These products are formulated to help remove extra minerals or salts when flushing the plant, which may reduce the chance that these leftover minerals or salts end up altering the smell or flavor of your buds. They’re meant to be used if you’ve been giving your plants extra nutrients in their water. They aren’t necessary when the plant has been getting all its nutrients from the soil. During the flush before harvest, it’s important to keep a close eye on your plants. 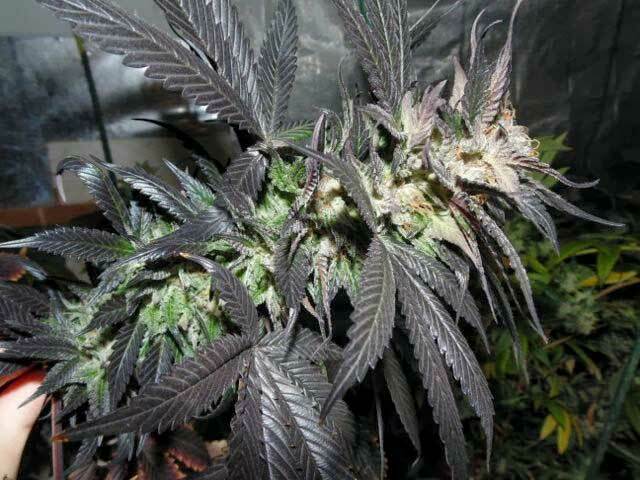 Your plant can turn yellow almost over night in certain situations. Although it’s normal to see some amount of yellowing before harvest, it’s important to harvest before the sugar leaves on the buds have turned yellow. Try to harvest before the green sugar leaves (small single-finger leaves directly attached to buds) start turning yellow. In the following cases, many of the fan leaves have turned yellow during the flush, but the small leaves on the buds themselves still appear green. They are at the perfect time to harvest! You can see the sugar leaves are mostly still green, but many of the fan leaves are pale and turning yellow. That is what you’re looking for. This auto-flowering plant is ready to harvest, too! If you wait any longer the yellowing may spread to the buds. If the leaves of your plant have turned completely another color like red or purple, that is also a sign the end is near (not talking about when the buds themselves turn pink or purple, as that’s caused by a different genetic trait and doesn’t have anything to do with the leaves). Even for plants where leaves changing colors is normal, it usually only happens when harvest time is coming soon. Your plant can’t really make energy from light after the leaves stop being green. That means you should plan on harvesting within a week of leaves going completely purple, and possibly even sooner if the buds themselves start looking discolored. In the following picture the buds continue to look pristine so far, but the purple leaves are a sign that the grower should plan to harvest soon to avoid letting the buds themselves get discolored or crispy. Although discolored sugar leaves doesn’t affect the quality/potency of the buds, it does affect theappearance (your buds won’t be as pretty). 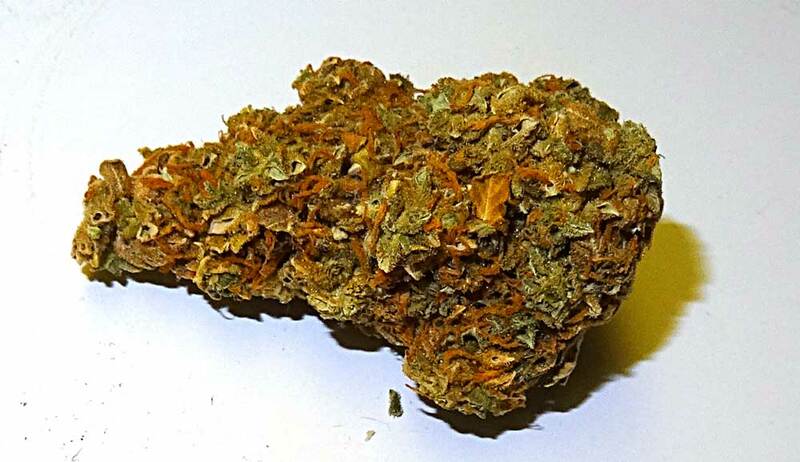 Additionally, once all the leaves are yellow your buds won’t really mature a whole lot more, and buds can quickly further deteriorate in health and lose potency. That being said, even if buds don’t look picture perfect, they will be just as great to smoke, and some growers prefer the more “couchlock” style effects of buds that have been allowed to mature on the longer side! Learn more about how harvesting at different times changes the potency/effects. If you let the flush go this long, where buds are getting crispy and brown without any sign of green, it means the actual potency of your bud is starting to degrade. 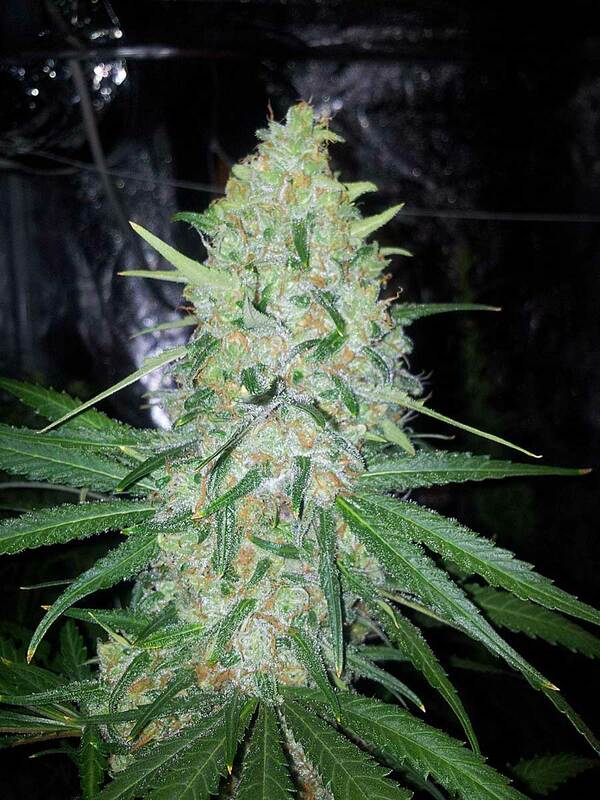 This bud needs to be harvested immediately so you don’t lose further potency! 4.) 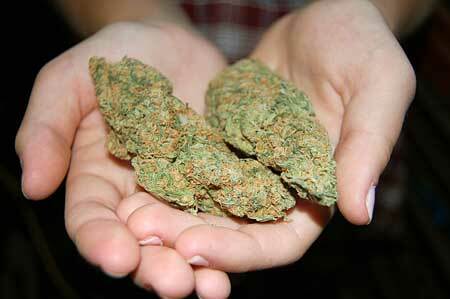 Enjoy your smooth and potent buds! Woo hoo! You’ve been working so hard, and now you are almost at the end of your journey! You’ve done everything you could to ensure the smoothest buds, so now it’s time to enjoy the fruits of your labor! Flushing Tips – Don’t Make These Common Mistakes! The biggest problem with flushing, especially for new growers, is to start the flush too early. New growers commonly think their plant is just a week or two from harvest, when truthfully it’s 4 weeks or more away from the optimal harvest time. Breeders often understate the length of the flowering stage for strains, giving the timeline for the absolute earliest harvest, so it’s generally a good idea to add an extra two weeks (minimum) to their recommended time for a more realistic estimate of the optimum time to harvest. When you flush a cannabis plant too early, you’re stunting its growth because buds aren’t getting enough nutrients to develop properly. Without being given the right amount of nutrients during the most crucial parts of the flowering stage, the potency, quality and weight of your buds can also be lower. Growth is stunted during the most important parts of the flowering stage, and yields are reduced. Potency may be lower because buds didn’t have the nutrients needed to develop THC properly, and if buds are also harvested early it reduces the potency even further! Flushing too early or too long can hurt the looks of your buds because it can cause the sugar leaves start turning yellow! All the nutrients were used up in the plant, including the ones in the sugar leaves, causing unsightly yellowing on the buds/sugar leaves that’s almost impossible to trim off. Allowing this to happen gives you buds covered with little yellow parts where the base of the leaves were, before they got trimmed. Example – After the bud was trimmed and dried, there are still yellow spots from the base of each sugar leaf that turned yellow, making buds look lower quality than they are! The bud which didn’t have yellowing has an overall higher quality appearance – more evidence that it’s so important to time your flush right! I’ve seen so many growers finish their two-week flush, and realize their plant still has several weeks to go after the flush is over. Do they continue flushing, do they start using nutrients again, or do they just harvest the plant early? It’s hard to say which way is best in a situation like that. So when it comes to flushing, I personally believe in waiting to flush until the harvest window has just opened. What that means is I won’t start flushing until the buds can already be harvested now, even if it’s a bit too early for my preference. Once the buds have hit the very beginning of the harvest window (trichomes are at least half-clear, half cloudy – learn more about trichomes and when to harvest), they still usually have 3+ weeks before the plant reaches the end of the harvest window. I personally like to harvest plants a little on the later side, because THC levels are higher, buds are bigger, and effects tend to be more relaxing and not “racing”. So starting the flush at the very beginning of the harvest window allows you to time your harvest perfectly for a 2-week flush. You won’t be able to flush too early if you follow this principle! If your plant still looks like it’s a few weeks away from harvest, wait! You never know how the plant is going to mature, and you can’t be sure that harvest time is close, until the harvest window has actually opened. Another common problem growers have is they stop maintaining pH when they start the flush. Even during the flush it’s important to maintain pH at the roots to make sure your plant can properly use the nutrients available. It can help prevent yellowing and spots on the leaves during the flush; when the pH is too high or too low at the plant roots, it makes certain nutrients unavailable to the plant and increases the chance of seeing nutrient deficiencies. The plant also tends to absorb more aluminum and salts out of the water when the pH isn’t in the correct range. Maintaining pH throughout the flush will help prevent deficiencies and unwanted salt absorption, while still allowing your plant to use up its extra reserves of nutrients in the buds! It’s generally recommended to flush plants for a few days to 2 weeks. I think this is a pretty good standard to go by. Unless you’re growing in amended super soil, flushing for longer than 2 weeks without nutrients is likely to stunt growth of the buds, which we don’t want in the flowering stage! Who Doesn’t Need to Flush? 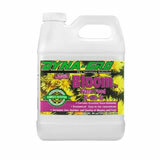 I believe a flush is very important for all growers using liquid or powder nutrients. Perhaps the exception to flushing would be soil growers where the plants are getting their nutrients primarily from the soil instead getting it directly in their water. When growers provide nutrients in the water (with liquid or powder nutrients) they’re giving nutrients in the most accessible form possible, and the plant uptakes those nutrients immediately, whether it needs them or not. This is the type of situation where you want to leach out extra nutrients that the plant may have absorbed into the plant matter. You only need to flush if you’ve been using powder or liquid nutrients! 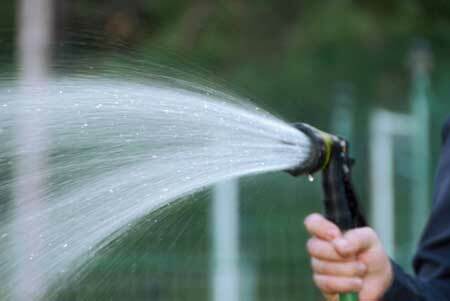 If you’ve been growing in straight soil without nutrients then flushing isn’t necessary. In a composted soil environment, the nutrients are being broken down at the roots gradually in the soil, making it difficult for a cannabis plant to take in more than it needs! Plus it makes sense that growers who have only been providing water to their plants the whole grow don’t have any need to flush – what would they do different anyway? There’s no truly definitive answers when it comes to flushing. No one has done the type of vigorous controlled experiments it would take to be able to say with authority the exact best way and time to flush, what the exact effects will be or if it’s even worth it in the first place. But in my experiments, flushing for at least a few days up to 2 weeks before harvest seems to make for the smoothest buds without any downsides!